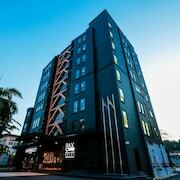 If you're thinking of ditching work to head to Peninsular Malaysia and are after Klang hotels, you have a tonne of choices from which to choose. 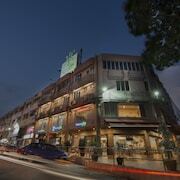 We have 29 places to base yourself within a 10-kilometre radius of downtown Klang. Basing yourself way out in Woop Woop can be a real time-sucker. 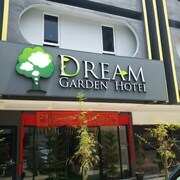 Fortunately, we offer some awesome hotel deals within a 1-kilometre radius of Klang's CBD, like the Family Hotel and Dream Garden Hotel. 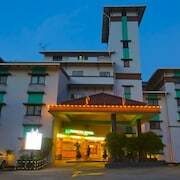 lastminute.co.nz's range of hotels offers only a few no-frills accommodations in Klang. The New Wave Sentosa Villa Hotel is one such offering. Check out the The Villas at Sunway Resort Hotel & Spa and also the Carcosa Seri Negara. The The Villas at Sunway Resort Hotel & Spa is positioned 18 kilometres away from the centre of Klang. The Carcosa Seri Negara is located 30 kilometres away. 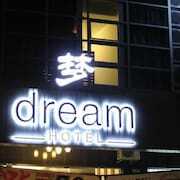 The The Ritz-Carlton, Kuala Lumpur and the Mandarin Oriental Kuala Lumpur are alternative options in Klang. After you have spent some time in Klang, ensure you allow time to visit Peninsular Malaysia's other scenic and cultural delights. Peninsular Malaysia boasts rural landscapes and beaches. Commonly visited Peninsular Malaysia visitor attractions are the mosques, art galleries and craft workshops. More active tourists can try their hand at hiking here. Looking for things to do? Spend the day checking out the Petronas Twin Towers and Petaling Street, which you'll find in Kuala Lumpur, 30 kilometres to the east of Klang. 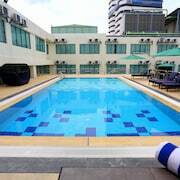 The Villa Samadhi Kuala Lumpur and Grand Hyatt Kuala Lumpur are a few of the hotel alternatives in Kuala Lumpur. Or, you could stay in Petaling Jaya, 19 kilometres to the east of Klang, where you can choose from the The Club Saujana Resort and One World Hotel. Regardless of whether you're passing through or spending a few nights in Petaling Jaya, set aside a little time to check out the KidZania and Centre Point. Sultan Abdul Aziz Shah Airport is your gateway to Klang. 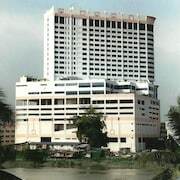 Nearby hotels include the The Club Saujana Resort and the The Saujana Hotel Kuala Lumpur.